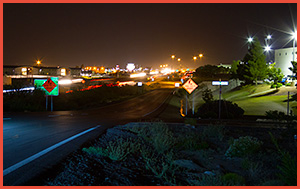 Traffic Control Services in El Paso, Traffic Control Planning, Traffic Control Setup, Traffic Redirect Signs Services by Certified Traffic Barricade Service, Inc.
We carry a full line of top quality products and equipment to help you get any job done. Are you in the market to purchase or rent traffic control products? Let the experts at Traffic Barricade Services, Inc. match you with the products you need. Whether you are looking for daily rentals or customized equipment for sale, TBS, Inc. has everything you need under one roof. There are a wide array of traffic control products to get your project underway. Below is a list of some of the products we stock.